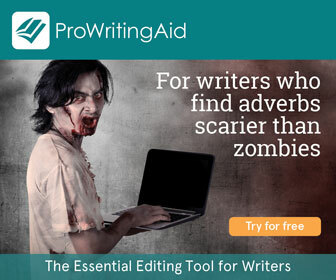 I’ve heard lots of writers say this. And when I say ‘lots’, I mean more than half of the ones I’ve spoken to about it. Because of their experience, they assume it’s a waste of time for them. So they give up. But the reasons they struggle are always the same: they’re approaching blogging all wrong. Let’s break down how they’re approaching it wrong (and how you could be too), and how to fix it. BLOGGING IS NOT COPYWRITING. There. I said it. That feels better. Copywriting is writing to sell. Blogging is writing to teach. Unless you’re announcing something, you should NOT be promoting yourself in any way, shape, or form. The purpose of your blog should, in the words of Andrew & Pete, be to make your readers ‘happier and smarter’. That means to entertain or to educate. If you’re already writing fiction or poetry, you already know how to entertain people. If you do public speaking you can entertain people. If you make your friends and family laugh, you can entertain people. When it comes to the educating side of things, that can be more difficult. Don’t concern yourself with what other writers are doing. Write content that YOUR READERS want. They’re coming to you because they want to hear YOUR voice and YOUR perspective. That alone is enough to make your content unique. Teaching is a skill not everyone has, but—like everything—it’s one that can be learnt. Sarah Hindmarsh, who works as a private tutor and runs Nottingham Writers’ Studio, believes that it’s easier to teach something you don’t understand. As a trained biologist, she can’t understand why people don’t get the anatomy of a horse (or my blank stare whenever she mentions something other than that you put a saddle on one and ride him/her). But when it comes to Maths, which isn’t her forte, she can teach it no problem. She’s so good she’s managed to help students who were predicted to fail get Bs. So the next time you go to write your post, ask yourself why you’re writing it. If it isn’t to educate or entertain (or both, which Andrew & Pete are awesome at), it’s time to start again. Six months sounds like a long time. A lot can change in that time. But when you’re just starting out, it’s the equivalent of about five minutes. It took YEARS for this site to do well in search engines. I didn’t really start to see any decent traffic until late 2017. I started The Writer’s Cookbook in 2014. You have to play a really, really long game. You have to show up regularly. You have to nurture your readers and demonstrate to search engines what value you have to share. I’ve met some writers who are against posting regularly as ‘it dampens creativity’. They want to write when they’re inspired. That’s great, but creativity is no different to a dog—you can train it to come to you when you want it. The more blog posts you write, the easier you’ll find it to write them. Showing up regularly also ensures your readers know when they’ll next hear from you, so it trains them to come back to you on whatever day you publish your content. Blogging is a lot like raising a small child in that you don’t realise how much work is involved until you’ve got one yourself and it’s too late to change your mind. It’s a serious investment in time if you want to get any traffic—and eventually money—from it. No form of writing will get you rich quick. To be worth the big money, you have to have SKILL. And writing is a skill. There’s a reason I studied it twice at uni, regularly do courses at Nottingham Writers’ Studio, am a member of ATOMIC, am doing Copy School, and I write this blog. While the main ingredients of writing never change, there’s always something you can learn. A better way of doing something. A reminder that breaks you out of bad habits. These are all vital to building a successful writing career of any kind. When it comes to making money from blogging, you must first build your audience. You do that by showing up regularly and providing them value. That’s up to you—you have to listen to what your readers want. If they don’t tell you, ask! Most people are more than happy to oblige. Chris Ducker hops onto random calls with different members of his Youpreneur community every month. This keeps his ear to the ground and helps him to know if he’s providing the kind of help they want/need. You could conduct a survey. We did that at Nottingham Writers’ Studio recently and got responses from more than a quarter of the membership. Given that average click and response rates are FAR lower, we were super pleased with the responses. Ever been to a networking event where everyone stands around awkwardly staring at their shoes? If you don’t interact with people online, that’s what you’re doing. You need to be the person going out into the crowds and bringing people together. Making them laugh. Showing them (without being salesy) that you know your stuff. You do that by commenting on people’s statuses on social media; commenting on their blogs; going to in-person networking events and getting to know people. You promote your blog not with a flashing neon sign that says READ MY BLOG, but with a handshake, a smile, and a hug. Doesn’t that sound so much nicer?! You must first build content. Then you build your audience (and interact with them). When you’ve done that, you can monetise. And it’s a really long game. This is the first year I’ve made any money from my blog, and I still haven’t made enough to cover hosting fees. What’s your experience with blogging? Do you find it helps to build your audience or are you writing into the ether?